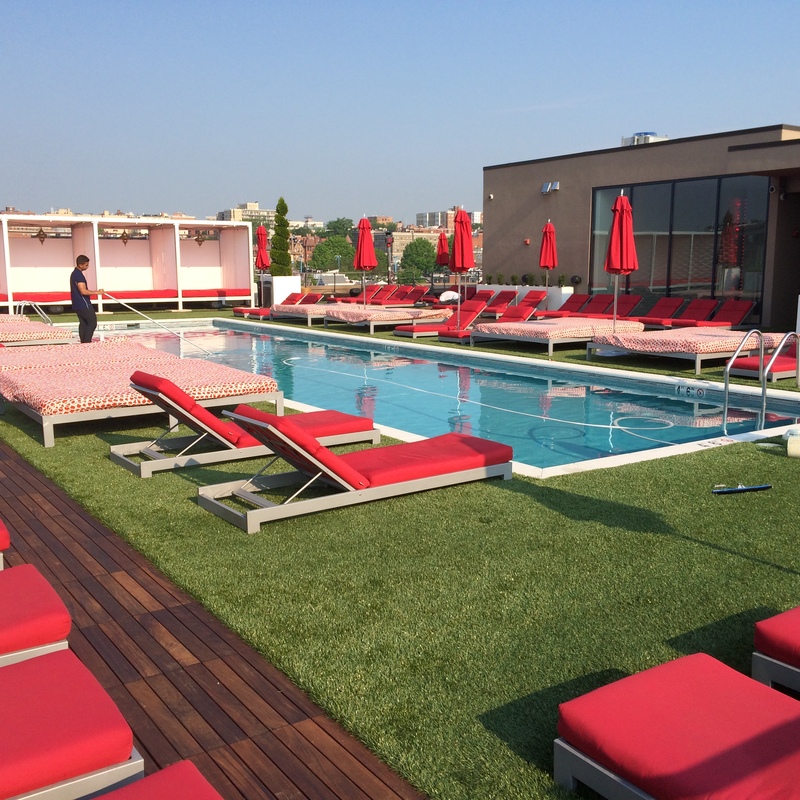 STI Greater Maryland Vida Fitness Penthouse Pool and Lounge in Washington, D.C. This week’s featured application comes to us from STI Dealer Peter Albanes of Albanes Landscaping/ STI Greater Maryland. 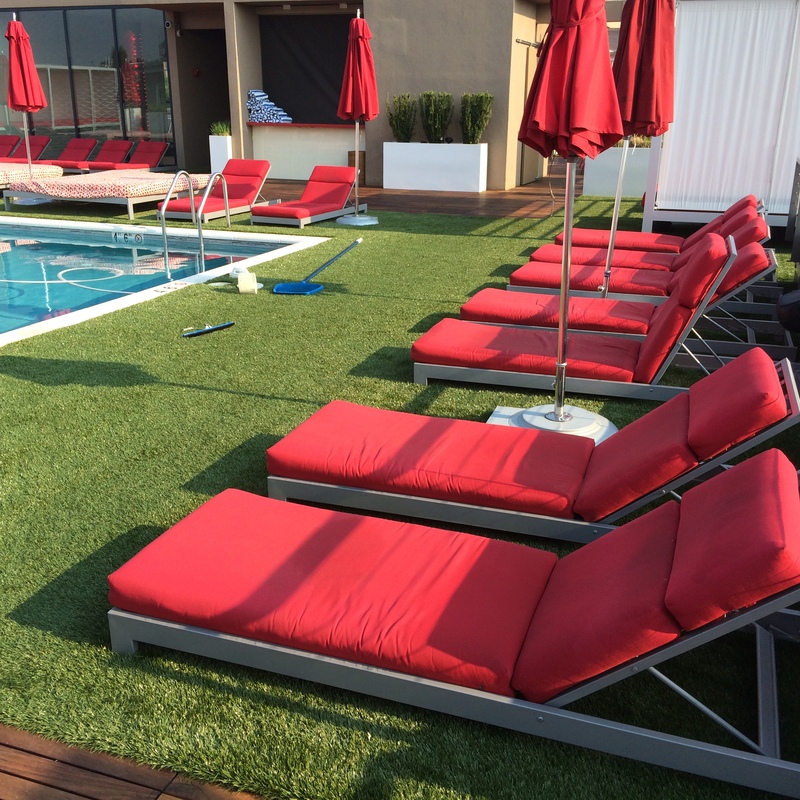 The project was for Vida Fitness Penthouse Pool and Lounge of Washington, D.C. Peter and his crew recently installed Synthetic Turf International’s SoftLawn® Select on the rooftop of the Vida Fitness center. 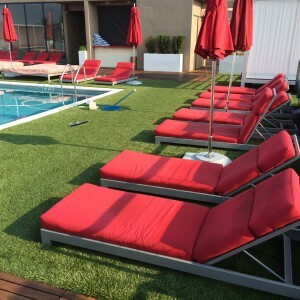 The turf is featured around the pool, lounge chairs and beds giving the area a unique look and feel. Being that the area is a rooftop natural grass would have been next to impossible to grow and the maintenance with the pool would have been a nightmare. Now the center has the look and feel of natural grass without the maintenance. 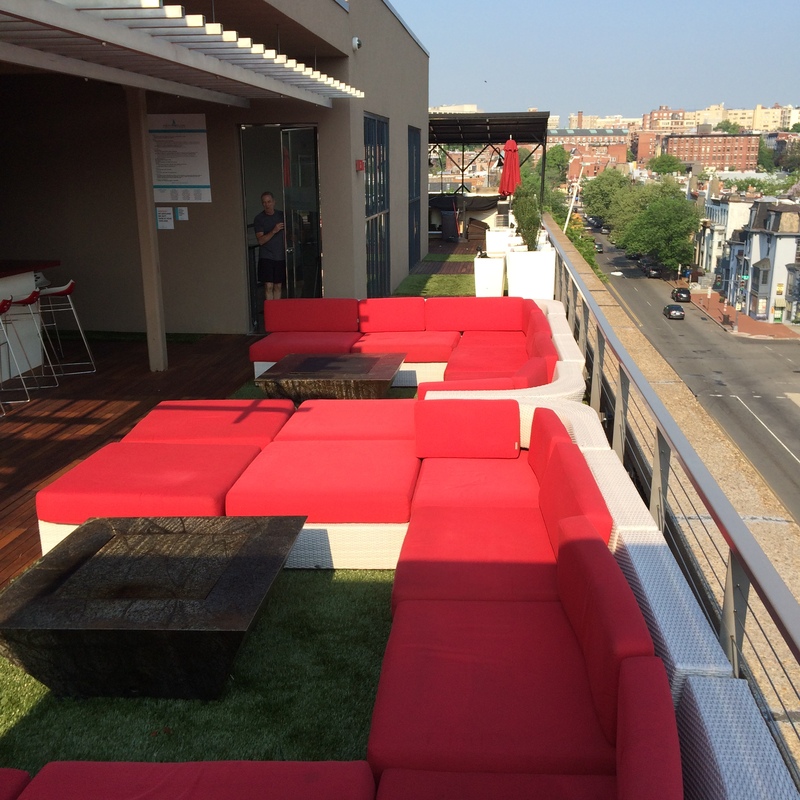 Synthetic Turf International’s SoftLawn® Select was installed over UBS Panels and a pedestal system to raise the entire application about a foot off the surface of the roof top. It is worth mentioning that this was not an easy task at all. 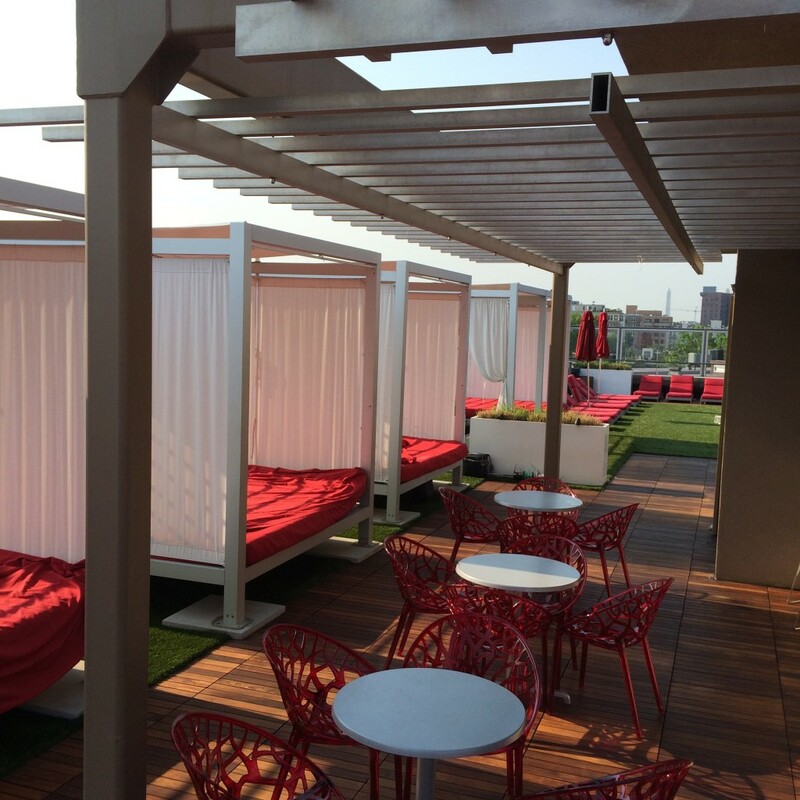 The installers did have to remove all cabana beds and actually work around them to cut, seam and install the turf on this rooftop/penthouse application. They also had to physically carry the rolls up several flights of stairs to get them to the roof. Knowing the amount of work that went into this project makes it all the more impressive.